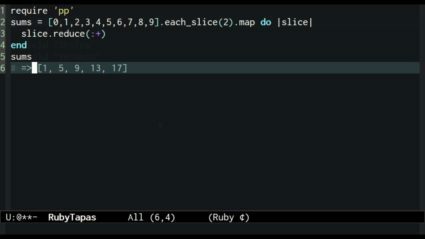 Factoring out a high-level interface for PulseAudio. 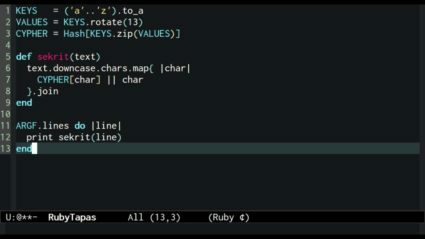 Tieing methods together with the Composed Method pattern. 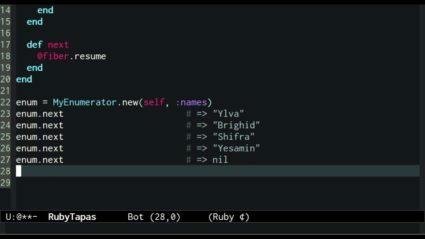 In previous episodes we've touched on Enumerator in passing. 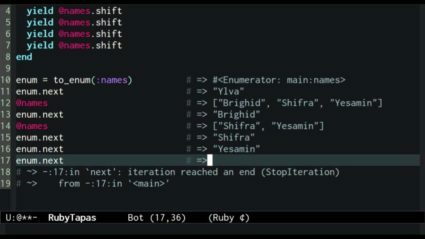 This time it'll take center stage, as we explore just what an Enumerator is and what it's good for. 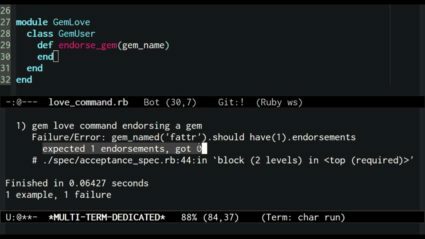 This episode explores ARGF, a powerful object for working with input files in command-line programs. 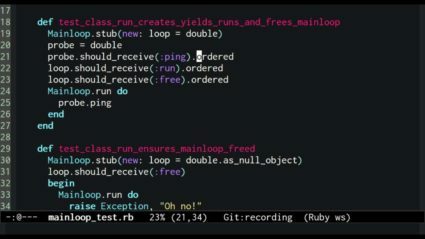 Test-driving some more methods in our PulseAudio library. 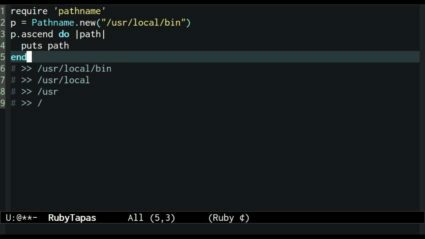 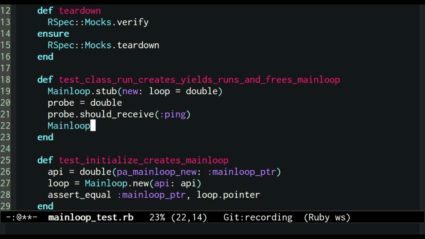 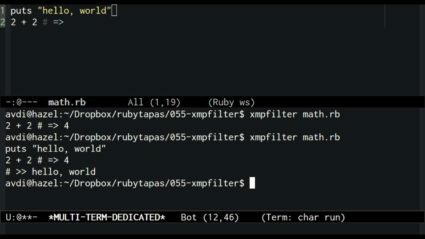 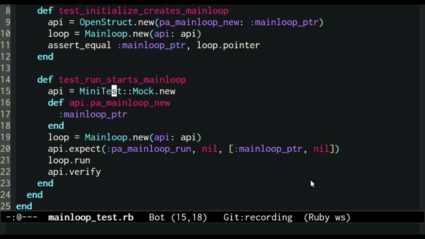 In this, the most requested RubyTapas episode ever, we'll take a look at xmpfilter, the program I use to evaluate Ruby expressions from within my editor.